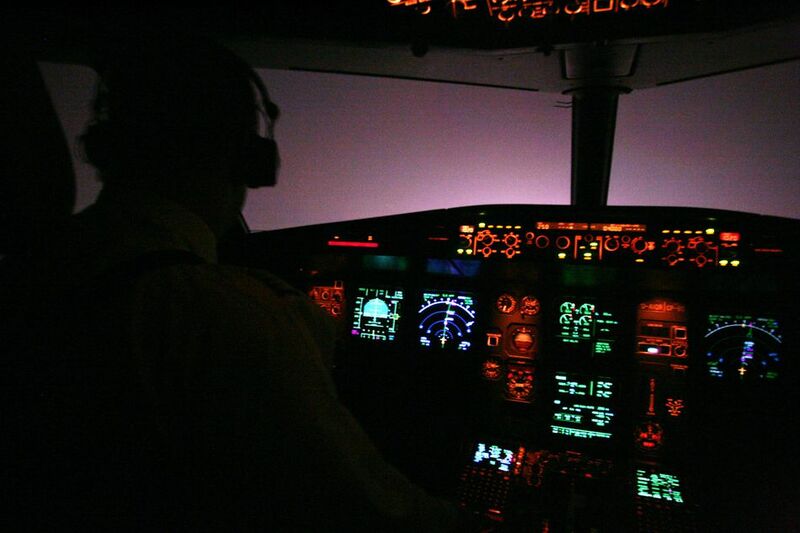 An instrument pilot can legally fly in the clouds, rain, and fog, which broadens his abilities and keeps him in the air instead of on the ground during inclement weather. Pilots who want to fly in the clouds need to to get an instrument rating added on to their private or commercial pilot certificate. And most professional aviation businesses require pilots to be instrument-rated, so it's a necessary step for those who might want to become an airline pilot or corporate pilot. The ability to fly solely by reference to instruments in the aircraft means that a pilot isn't limited to good weather operations only. An applicant for an instrument rating needs to be extremely precise and detail-oriented. He or she must be able to follow procedures and multitask to a higher level than before. Since flying in inclement weather with no visual reference to the ground can be hazardous for an untrained pilot, instrument training requires a great deal of professionalism and leaves no room for mistakes or carelessness. If you're trained well and take it seriously, IFR flying can be very rewarding. Here's what you'll need to do to become an instrument-rated pilot. Instrument pilot applicants must be able to read, speak, write and understand English, and must hold at least a private pilot certificate. Just like with previous pilot certificates you may have earned, you'll want to get the written exam out of the way early in your instrument training. That way you'll have the extra knowledge in your head ahead of time, or it will also serve as a refresher if you've taken some time off. Once your written exam is completed, you can focus on flying. To obtain an instrument rating under CFR Part 61, you'll need at least 50 hours of pilot-in-command (PIC) cross-country flight time. You'll need 40 hours of actual or simulated instrument time, including at least one IFR cross-country flight that exceeds 250 nautical miles and involves at least three different kinds of instrument approaches (one at each airport). During your instrument training, you'll be assessed on procedures such as approaches, departures, holding, tracking, and intercepting courses. You'll practice emergencies during IFR conditions and learn the ins and outs of navigational equipment. Most importantly, you'll learn situational awareness at a much higher level than earlier training. Typically, you'll perform a few cross-country flights to get adjusted to the real-world IFR environment - the "system" in which IFR pilots are handled. When you've mastered instrument flight and learned all about the privileges and limitations of the instrument rating, your instructor will sign you off for ​the checkride. Since you've taken checkrides before, you know what to expect: a couple of hours of ground work for the oral portion of the exam and another hour or two in the air to fly a few approaches is all it takes. For the instrument checkride, you'll have to fly at least two non-precision approaches and at least one precision approach. (Remember- a GPS approach is a NON-precision approach.) One of these approaches will likely be a partial panel approach, in which you'll simulate an approach with failed instruments. Remember, the examiner is testing your ability to fly safely in low or zero visibility. In addition to knowing all of the procedures and tasks, you'll need to be extremely precise and always know exactly where you are.